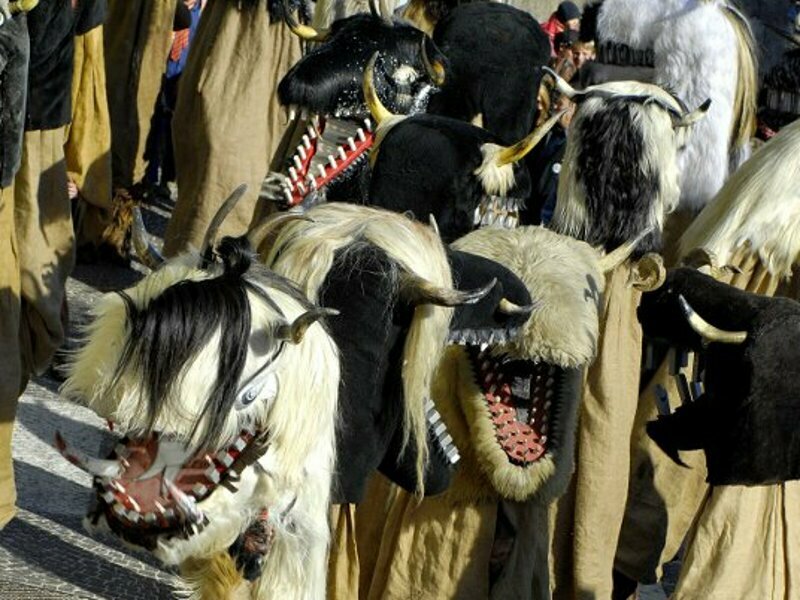 This traditional carnival parade along the South Tyrolean Wine Road drives away the winter spirits with noise and brilliant costumes. 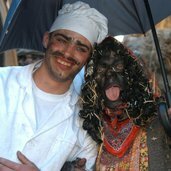 Typical characters of the carnival parade are, among others, the miller and the “Burgele”. 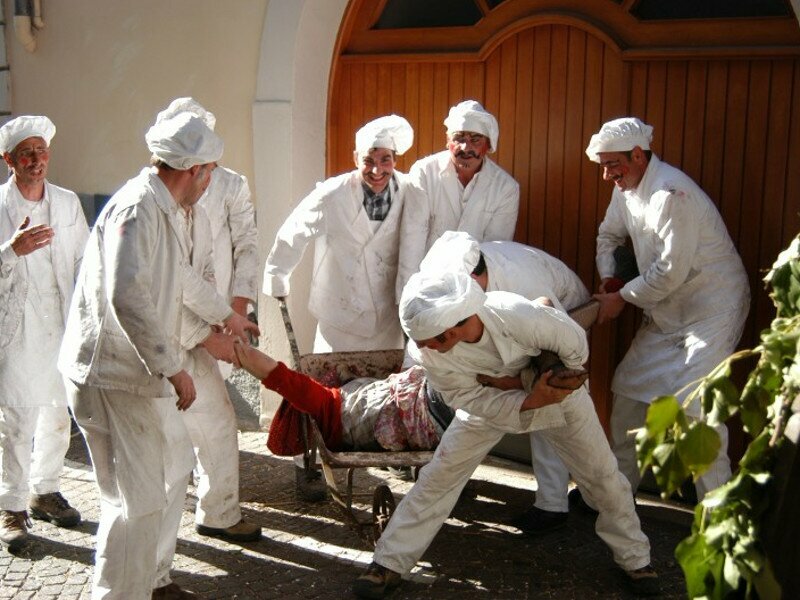 Also this is part of the Egetmann Parade: the millers carry their victim on the cart. 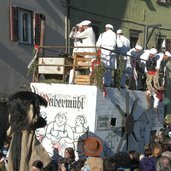 The councillors talk about the wedding of the so-called Egetmann Hansl, the main character. Take care! Here comes the traditional “Weibermühle”, the Wives’ Mill. And also the famous “Schnappviecher”, also known as “Wudelen”, must not be missing. 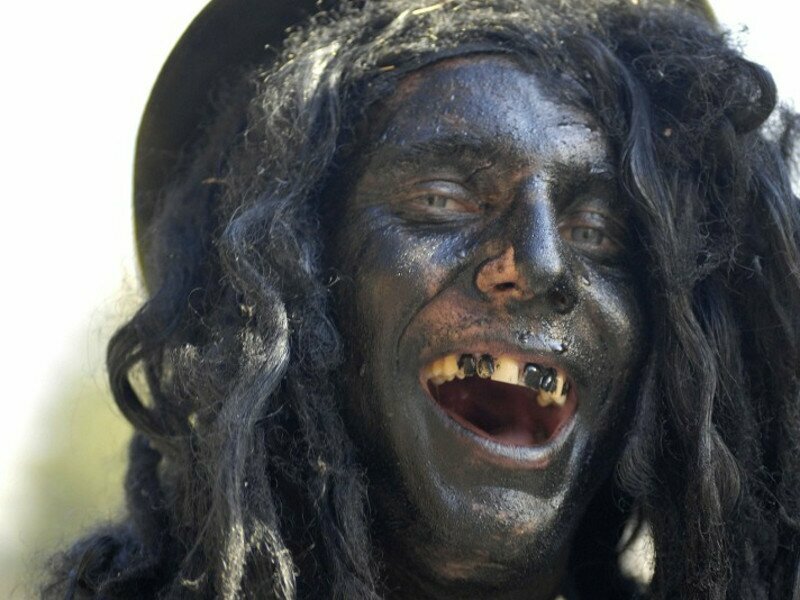 This “Burgltreiber” obviously has fun - he chases the so-called “Burgelen”. 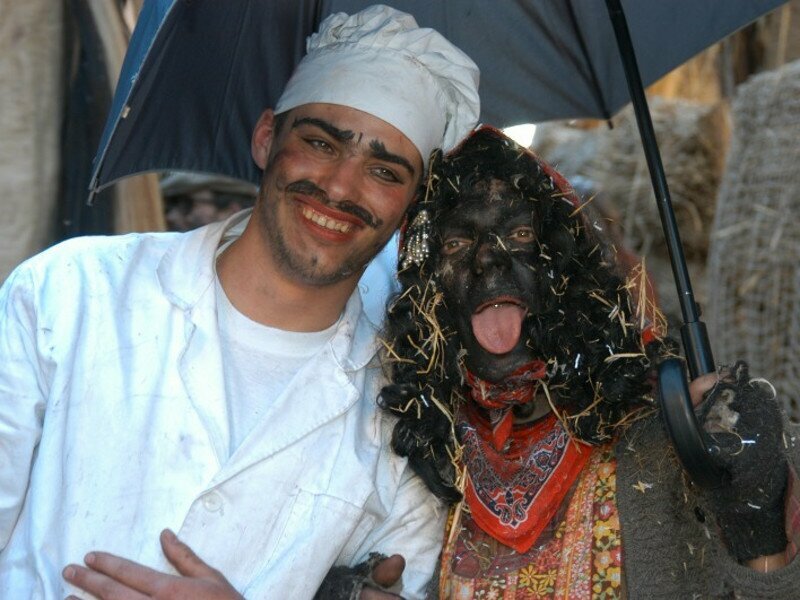 The carnival period in Tyrol traditionally starts on the 7th of January. 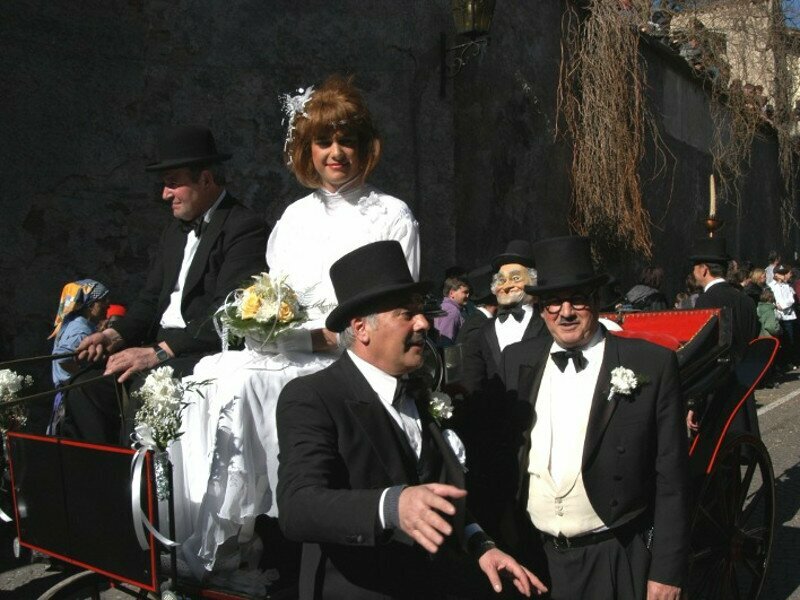 But already months before, the village of Termeno (Tramin) prepares the costumes and carriages for its famous Egetmann Parade. 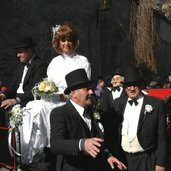 According to a very old local custom, only men may participate - the parade takes place every second year (in the odd years), whereas in the even years a children’s parade is organised. The so-called Egetmann-Hansl, the main character, heads the parade with a (male) bride. 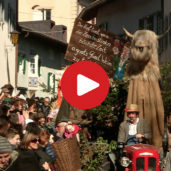 The two are followed by many different characters, among those also the famous “Schnappviecher”, some enormous furry animals which scary everyone with their teeth and noise. 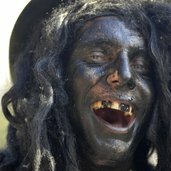 Except the - masked - Wild Man and the Green and White Bear, the participants have their faces painted with carbon black and are equipped with carbon black, sawdust, confetti and dust for the spectators. 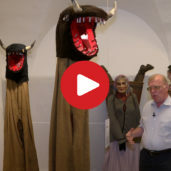 Also a section of the Local Museum “Hoamet Tramin Museum” is dedicated to the Egetmann Parade. 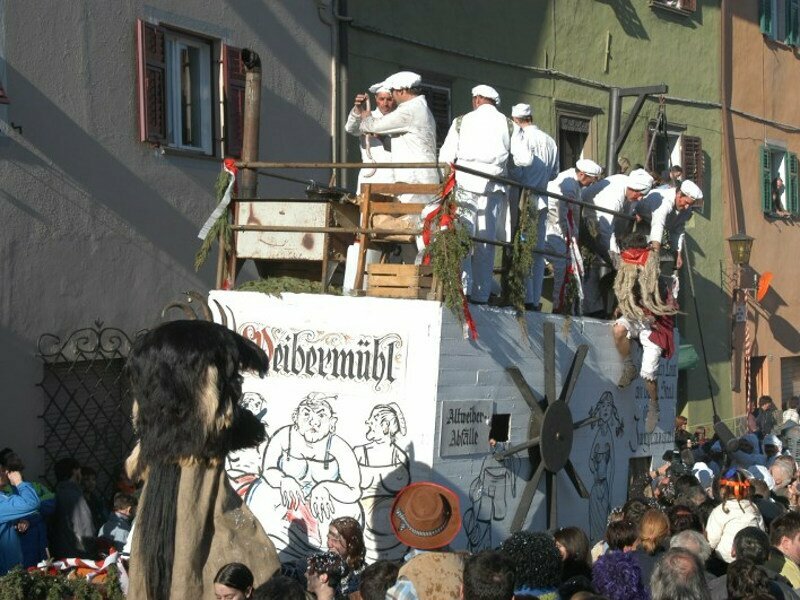 By the way: the famous parade along the South Tyrolean Wine Road, called Egetmann-Umzug, is one of many still practised Tyrolean carnival customs. 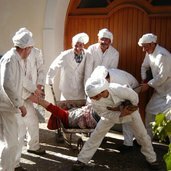 Among them are, in particular, the “Schemenlaufen” in Imst, the “Schleicherlaufen” in Telfs, the “Schellerlaufen” in Nassereith, the “Wampelerreiten” in Axams and the “Mullerlaufen” in Thaur. All of these villages are located in North Tyrol (Austria). 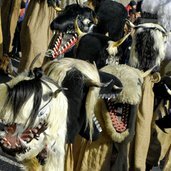 In South Tyrol, however, you can witness the “Pflugziehen” (plough pulling) in Stelvio and the Carnival in Prato allo Stelvio with the traditional “Zusslrennen” parade.